Holiday tips are of exceptional high quality, just sleep beautifully in the room, if you want breakfast, just go down to the restaurant, if you want to exercise or swim to the 3rd floor, you can take a photo in the lobby, and if you want to see the beautiful scenery of Batam, can you see from the top of the highest floor glass, after Check Out, you can go directly to the beautiful streets of Kepri Traveler around Batam, or you can go snorkeling at Abang Island. Batam City which has a strategic position from the countries of Singapore and Malaysia, and is located in the Riau Islands Province or Kepri. Batam City has its own uniqueness and exciting stories that I often hear when I was little. One of them is the location of cheap electronic goods due to tax free. Some Hotels in Batam City fulfill and make their own creations so that it becomes one of the choices for travelers who want to go to Singapore and Malaysia. Hotel Allium is one of the destinations I want to visit first. Hotel Allium group from Samali Hotel is a change of name from Hotel Panorama. 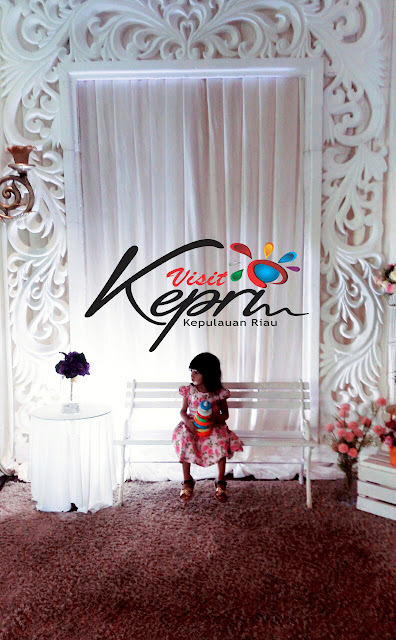 The first time you enter the Allium Batam Hotel Lobby, the smell of your own adventure can be seen from several photo booth facilities provided by the hotel management. Then there is a piano, for those who want to play the piano, or just use the piano as access to selfie fun. For your child, there is a style playground that we can use to capture your child’s activities there. The position of Allium Hotel which is located not far from shopping places such as Nagoya, and also matchmaking provides easy access for tourists to shop. 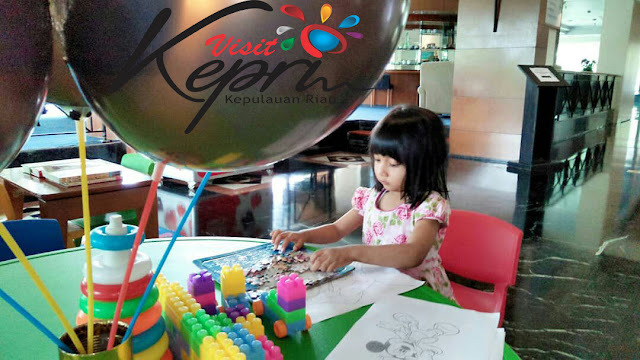 With a number of places to eat that can be reached by purses and a sense of champion that makes art run separately for Kepri Traveler. Consisting of 17 floors in Allium Batam Hotel, then you can see exotic views of Batam City and can also take a peek at Singapore State from behind your glass screen. Wi-Fi connection is also provided by Allium Batam Hotel, which adds to the impression of comfort in a room and also at home without leaving, for you computer and laptop enthusiast. Added with cable TV with variations of channels that are suitable for families, sportsmen, update news seekers, etc. For those of you who like bathing in bath tubh, by ordering the most economical room, you will get the bathtubh facility. With a decent bathroom area for you to exercise, hehe. If we shampoo, calm down there is a hair dryer that can help dry your hair for an instant like The Flash. 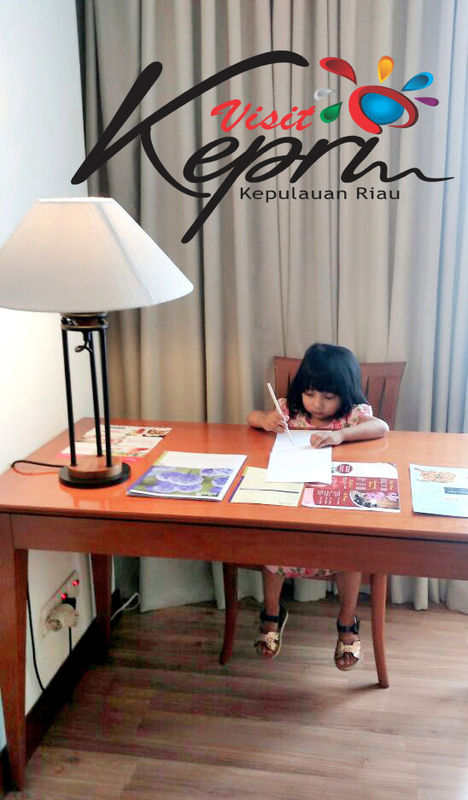 You are a worker who is on the way, then need a work space, then at Allium Batam Hotel provides a work desk that is quite large with a spacious room, plus a sofa chair which will certainly add to your comfort in this hotel room. If you like cold drinks, then at Allium Batam Hotel also provides a mini fridge, which is enough for drinks, plus a minibar. Beautiful lights accompany you when you are spoiled, there is a lamp for the work desk, two lights beside the bed, then the lamp stands next to the couch. And all of that can be accessed on the control panel provided by the bedside, the more it makes you feel at home not to wake up from the soft bed at Allium Batam Hotel. After breakfast, I got the impression of losing a little weight, when I saw in the elevator, there was info about the fitness room and also the facilities to swim in the swimming pool on the 3rd floor, at night it was closed at 22.00 WIB and opened at 06.00 WIB. 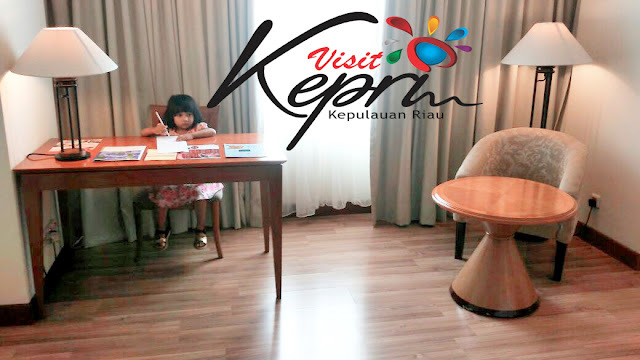 Well, in general, I recommend this hotel for those who want to spend time in Batam. Because from the comfort side of the bedside is adequate, the price side is competitive. So it’s enough for those who want to travel, honeymoon or work. Overall, Allium Batam Hotel is highly recommended for those of you workers who want to travel, as well as honeymoon, to continue to get valuable experience in Batam. Considering the facilities that we can match the comfort we will get, it is inversely proportional to the price of the hotel room itself. Come on … we are having fun while chatting and sweet talk on the Tea and Talk Allium Batam Hotel program. Oo. I see. I just realized panorama hotel changes the name to allium hotel. When I was 20 yo I had I dream to make a wedding party in the highest floor at panorama hotel hahaha. 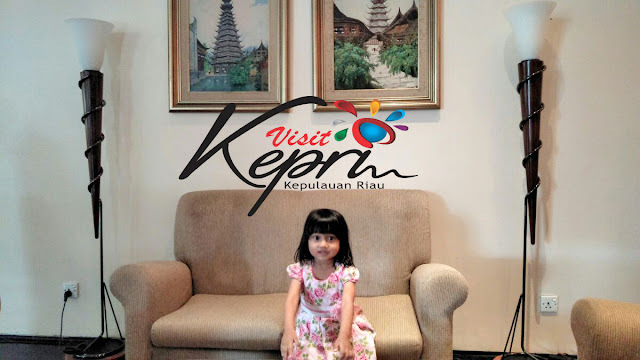 sering dh lewat depan allium ni, bertanya2 jg kek mana rasanya nginep dsitu, tinggi kali hotelnya..hehehe..
semoga kapan2 ada rejeki nginep dsana..aamiin..
Kakak dan adek lucu banget…. Bagus ya hotelnya, terlihat nyaman juga. Jadi pengen coba semalam di sana, hehe. Iyaaa, ini hotel udah berapa kali ganti nama hehehe, hotelnya memang nyaman. Tamu kantor saya juga kadang mintanya di hotel ini.